We have had a couple of users ask us the difference between our Phone and Direct Line apps. We totally agree it doesn’t make sense to be carrying 2 business lines and we apologise for the little confusion. In fact, the Phone and Direct Line apps are meant to complement each other. After we created Phone to provide users with reliable and affordable VoIP service to make outgoing calls and SMSes, we realised something was missing on the call receiving end. We noticed that business professionals often carried both their personal and business phones about and thought that was quite inconvenient. So we came up with a solution where users could purchase a local number. Incoming calls would then be forwarded to their personal mobile. The awesome thing about getting a Direct Line is that setting up takes just a few minutes from your desktop. With Direct Line, you can decide when you want to receive calls and who you want to receive calls from. 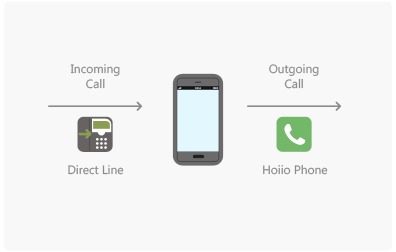 There is also an option for simultaneous call forwarding to multiple numbers. We figured these were really useful so we have made both services available on our mobile app. If you have any ideas on how we can improve, do drop us a note here!